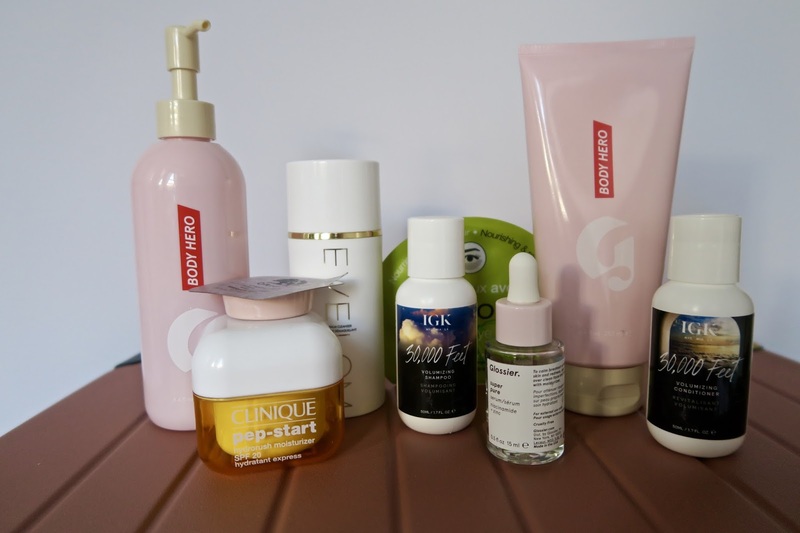 Ah, Glossier. When it comes to this beauty brand, chances are I’ve tried it, and love it. Ever since they launched in the UK last October, my love affair with the brand has got even bigger — no more long distance relationship between Brighton and New York, this brand is my no.1, ride or die beauty bae. 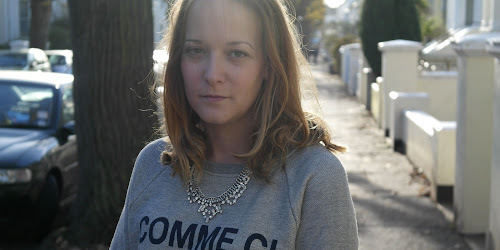 When Glossier launched their first fragrance, I was intrigued. Make up and skincare are the focused products for the brand, and launching a fragrance is somewhat...brave, as it’s a real personal thing (in my opinion). It was also not what I was expecting when I first smelt it thanks to a sample they sent prior to it being released. It’s actually pretty classic — subtle, creamy, spicy, and it’s designed to enhance your own natural scent. I’ve been using it since it launched in late 2017, and at first I was on the fence. Now, it’s my daily fragrance and has something about it that makes it so wearable and perfect for any occasion. With a base of ambrette, ambrox and musk, combined with the woody top notes of iris root and a drop of spicy pink pepper — it’s not overpowering, but inviting — I've had a fair few compliments on it, too. Trust me, you’re going to want to add this to your Glossier basket — get clicking now. Travelling abroad plays a big part of my job as an Event Manager, sounding exciting (and glamorous) which it generally is, but sometimes it can be a whirlwind of stress and craziness. For me, I travel abroad with work for conferences and meetings that we have produced for clients, so being prepared and organised is essential in my line of work. I’ve been fortunate enough to travel quite frequently with my work - mainly in Europe, but occasionally further. I’ve only been working in my current job for just over a year, but I’ve been able to really master my work travel routine making the whole process stress free and managing to find ways to mix hard work with a little fun too, exploring the cities I visit when a free moment arises otherwise, if I didn’t manage the trip well, all I’d see is the inside of the hotel I’m staying in, and the city flash past me as I head to and from the airport in a taxi. Today I wanted to share a few of my top tips for nailing that work trip abroad. If you travel with work, or even if you like to book several city breaks over the year, hopefully you’ll find them helpful. Halfway through this year, I decided to invest in a high quality cabin-sized suitcase. I wanted something reliable, easy to transport around and sturdy. I use The Carry On Suitcase from Away - it was a big investment for me, but I have no regrets (I’m actually thinking of buying one of the larger-sized suitcases now). Yes, they’re on the expensive side, however it’s really improved my travel process as not only is it lightweight, and wheels around the airport like a dream but it has some pretty darn amazing features - including a compression pad for one compartment to help clear up free space and - the most important of all - a removable battery with built in USB sockets to charge your devices on the go. This has been a real life-saver when my flights have been delayed. If there’s one thing I’ve well and truly nailed when it comes to traveling, it’s my travel essentials kit. Aside from the obvious travel essential (Passport) this comes second and saves me time having to make a panicked last minute trip to Boots at the airport (giving me extra time to look at ALL the beauty products in duty free!). 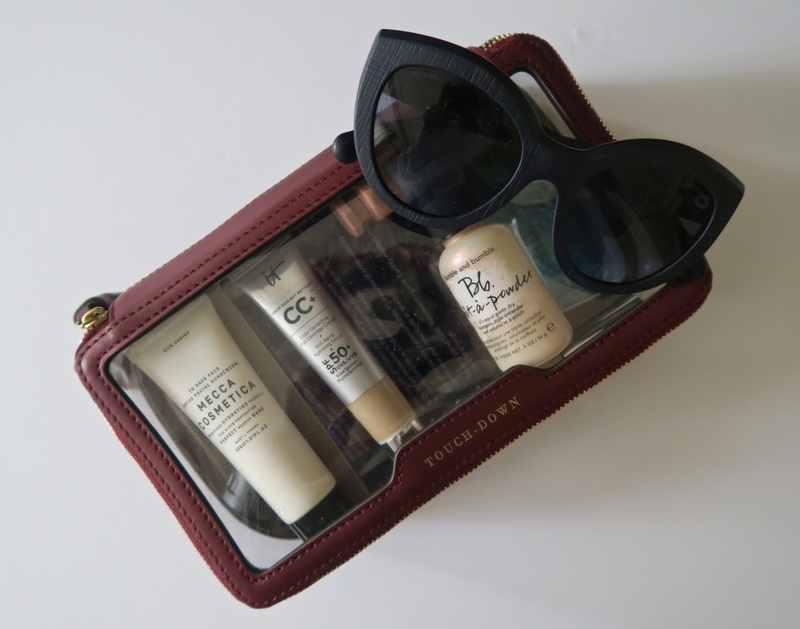 Purchase a transparent travel toiletries bag and fill it with your essential travel toiletries and keep them in there at all times (I store mine in my luggage when I’m not traveling). This pre-packed bag is then ready to go, leaving you more time to pack and fully prepared for airport security. I also have a separate bag / pouch that I keep in my luggage, with all my travel adaptors and cables I need for my trips. It makes things a lot smoother when it comes to organising what you need to pack. When traveling abroad for work, I tend to stay in the same hotel where the meetings are held. This means it can be easy to end up not venturing outside and therefore not seeing the city I’m in. Therefore, if I don’t have any evening commitments, I always force myself to eat outside of the hotel, even if the temptation of room service in my PJ’s is real. I try to seek out recommendations for restaurants prior to traveling and, if possible, book a table. When traveling with other colleagues this can be a great thing to do, as it means you’re out of the ‘work zone’ for a couple of hours, leaving you to relax and enjoy what the city has to offer. I also grab recommendations for things to do and see in the city incase I have some free time, or I’ve extended my stay. Free time is pretty rare when travelling with work - I tend to only be in the city for 48 - 72 hours tops, and when I’m not working I’m sleeping! However, I always try to get out and explore the city I’m in if I get the opportunity. Even if it’s only for an hour before I need to head back to the airport, I try and get out and see something. Greetings from San Diego! It took me a total of 13 hours to get here - most of that was up in the air, which is an extremely long time. I did have to connect, which meant getting off a plane, walking through an airport, sitting in the lounge, and then getting on another plane. Which breaks up the journey but also means that my skin would be freaking out if I hadn’t done my usual in-flight beauty regime. My pre-flight make-up is kept simple so that it's prepped and ready to go for the inevitable sheet mask assault I’m going to unleash after boarding my flight. As I had a layover in Seattle, I did want to look a little decent for the next flight, so after giving my face a deep cleanse and moisturise before heading to the airport, I slapped on the it Cosmetics Your Skin But Better CC Cream in light and the Glossier Cloud Paint in Dusk - easy to apply and remove whilst travelling. 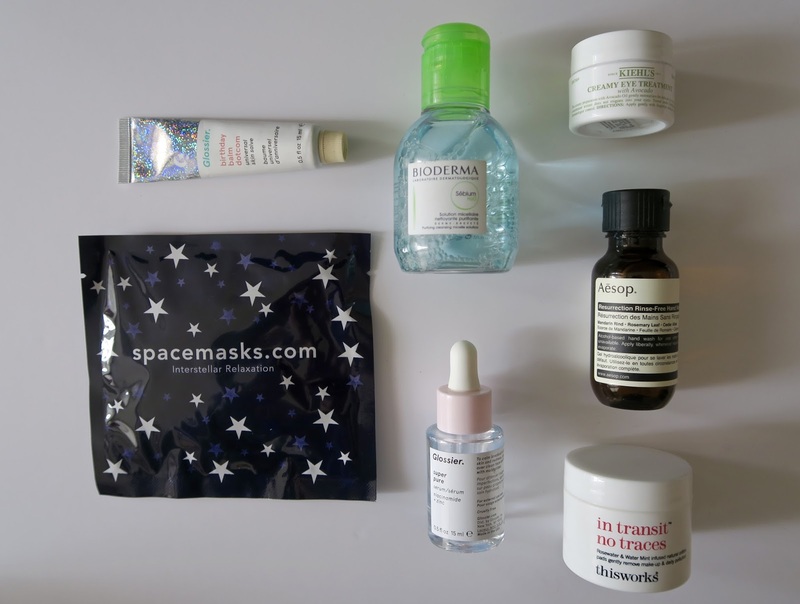 Once I boarded the plane and settled in for the first, and longest part of my journey, I took off my make-up with my Bioderma micellar cleansing water and applied some Glossier Priming Moisturiser. After a couple of hours into my flight, I whipped out the Instant Renewal Concentrate sheet mask by Kiehl’s, which I picked up in duty-free before my flight to hydrate my skin. This is something I have never worn before on a flight, but no one seemed phased by me wearing one whilst watching films - the air stewardess even asked where it was from, as she could see how glowing my skin looked after I’d taken it off. 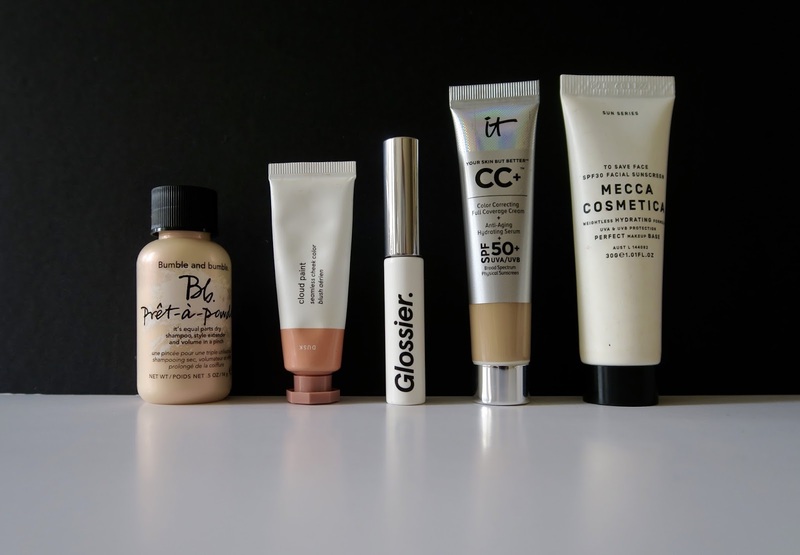 I left it on until it started to dry out, and then I locked everything in with the Glossier Super Bounce Serum, which I reapplied whenever my skin started to feel dry. Another product I always take with me, is the Resurrection rinse-free hand wash by Aesop. It’s the poshest of hand sanitisers I’ve ever owned, and makes flying that little more luxurious! As my plane started its descent into Seattle, I applied my Kiehl’s Creamy Eye Treatment with Avocado, some Glossier Priming Moisturiser and Stretch Concealer, leaving me feeling refreshed and ready to take on the airport layover. As it happens, this is a great way to look and feel when you end up getting lost in Seattle airport and panicking you’re going to miss your connecting flight. Unfortunately, there is no sort of beauty product to help with that situation, but looking good was fine. For my 3-hour flight from Seattle to San Diego, I slapped on some more Moisturiser, and an eye mask and let them do one last flight hydration task whilst I read my way through the magazines I picked up in Seattle. Then, it was time to slap on some it Cosmetics Your Skin But Better CC Cream in light (the travel size is the best invention ever!) and Glossier Cloud Paint and get ready to disembark the plane as I’d FINALLY made in to San Diego! Whilst it may seem I went a bit crazy with my skincare routine throughout my flight, I wasn’t finished yet. After checking in to the hotel, and going for a quick explore it was time to order room service and have a pamper session in my room before hitting the sack for an early night. I always wash my hair after a long flight, and then double cleanse, followed by a Nip + Fab face mask and a long soak in the tub. I then whacked on a Spacemask - these bad boys help you sleep like a baby - they are self-heating, relieving tiredness and eye strain, and they actually work! That's it! Seem crazy, but it keeps you amused when you're not watching in-flight films! I’m off to San Diego tomorrow, and whilst I’ve nearly finished packing, I’m also prepping my body for the journey. Flying is one of the most dehydrating things you can do to your body. So preparing yourself for a long-haul flight isn’t just about what to take in your carry-on (although, more on that in another post soon) it’s about giving your body that little extra TLC than you normally do. As a frequent flyer, and more so this year, I’m pretty hot on keeping my skin hydrated when flying, but it’s also good to be preventative ahead of your flight — Who knew preparing yourself for your long flight wasn’t just about packing?! Although it does mean you have a little more time in-flight to catch up on some films (Three Billboards Outside Ebbing, Missouri, FTW). I then slap on some Glossier Super Bounce serum, followed by my Clinique Pep-Start Hydrorush moisturiser. I leave these on, and just apply a little more before climbing into bed. Post-shower and shave, I slap on a load of products that I tend to only use when I’m having a pamper sesh at home - I’m talking body scrubs (Rituals The Ritual Of Sakura) and your favourite smelling body wash, followed by moisturiser - I use Glossier’s Body Hero Duo. They smell divine AND seem to do some sort of beauty witchcraft to your body (in a good way). My hair has a life of its own - it has taken me 32 years to realise that, so when it comes to flying, I give it a good wash, and slap on a conditioning hair mask. My hair then stays in a bun on the day of my flight, with occasional shakeouts and reapplication. That’s it - it may seem like a hassle the night before, but your body and skin will love you for it. 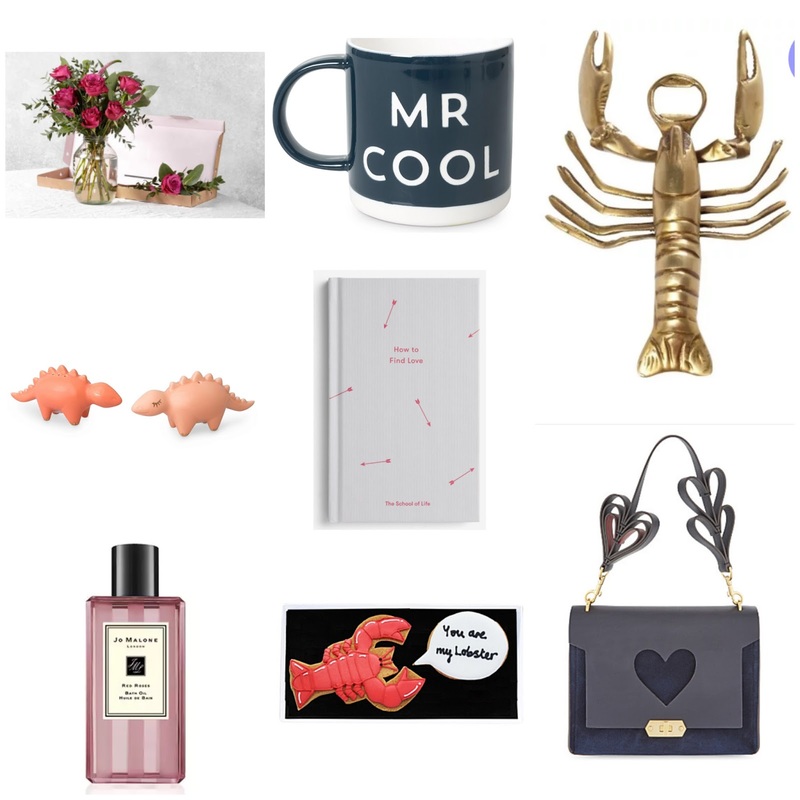 With Valentine's day only days away, I thought I'd get my Valentines gift guide ready for you all. 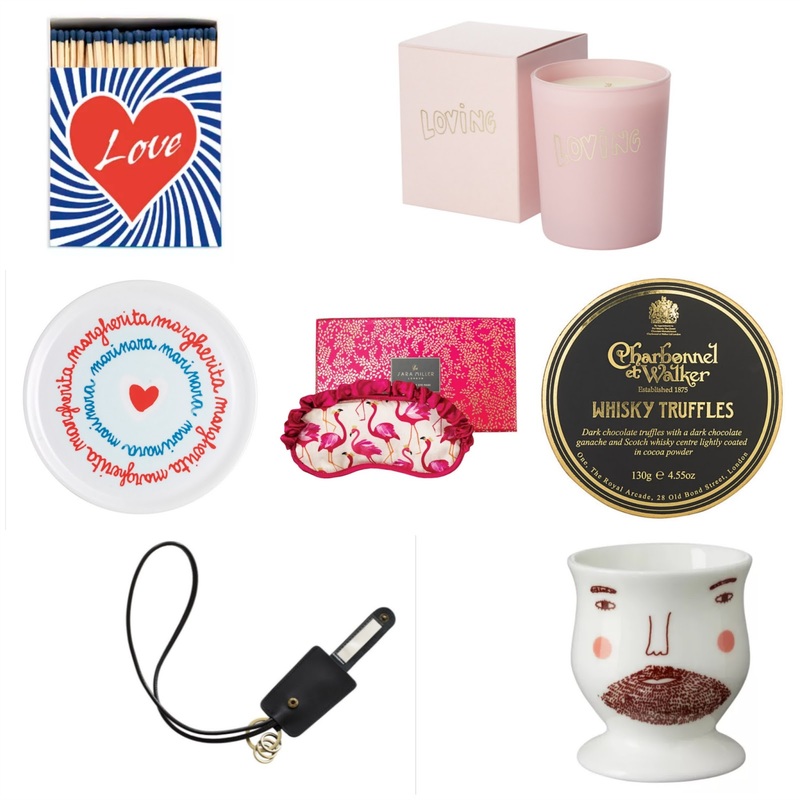 Whether you are looking to treat someone special in your life or just treat yourself, here are a few ideas to get you going. 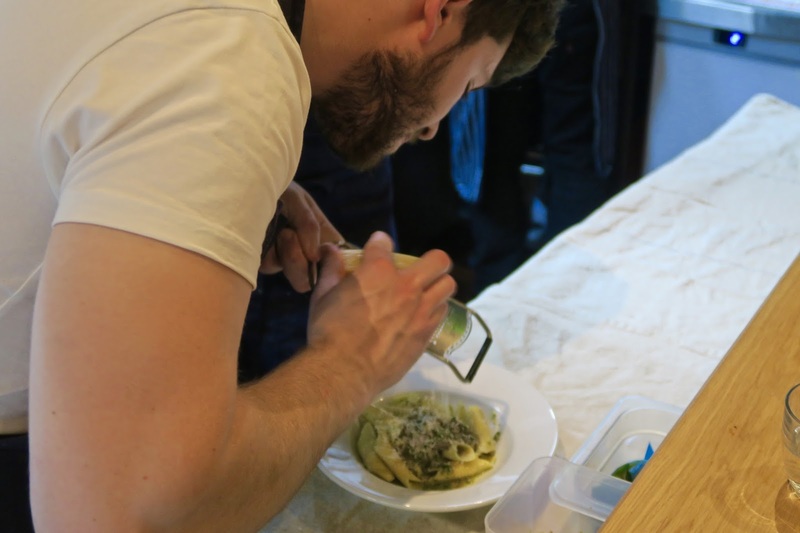 They launched their first Italian Bar and kitchen in the backstreets of the North Laines in 2016, and little over a year later, one of my favourite restaurants in Brighton, Cin Cin have opened their second restaurant just along the road in Hove. 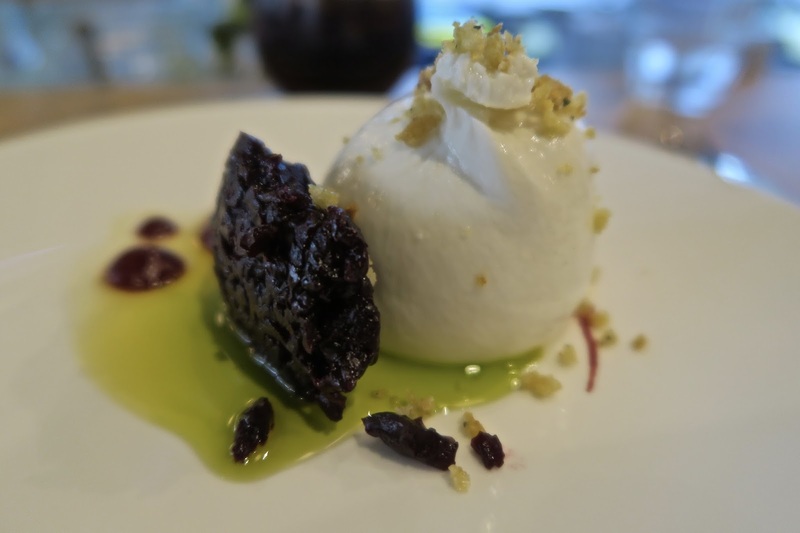 Cin Cin Hove is a very welcome addition — it’s the Italian restaurant the neighborhood has been needing for a LONG time. 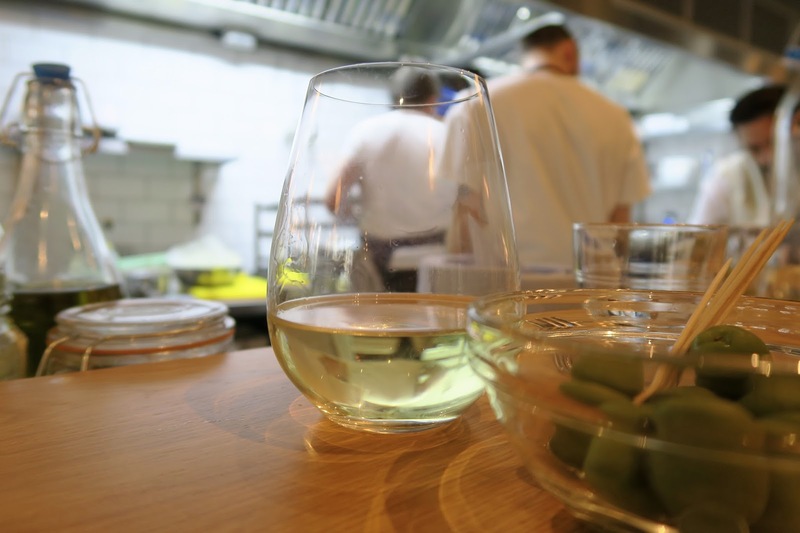 It has stuck to the same formula as their Brighton site, with an open kitchen and counter seating setup but is bigger, with around 35 covers and a private dining area for groups. 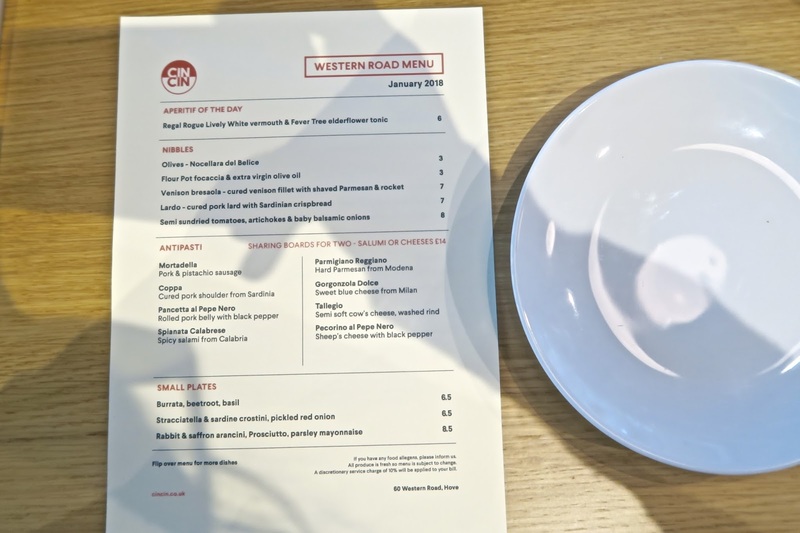 The menu has similarities to their Brighton site with small plates, home-made pasta and antipasti still on the menu, but with the addition of the ‘secondi’ section, featuring three dishes which are designed to be the main course of your meal - a real game changer. 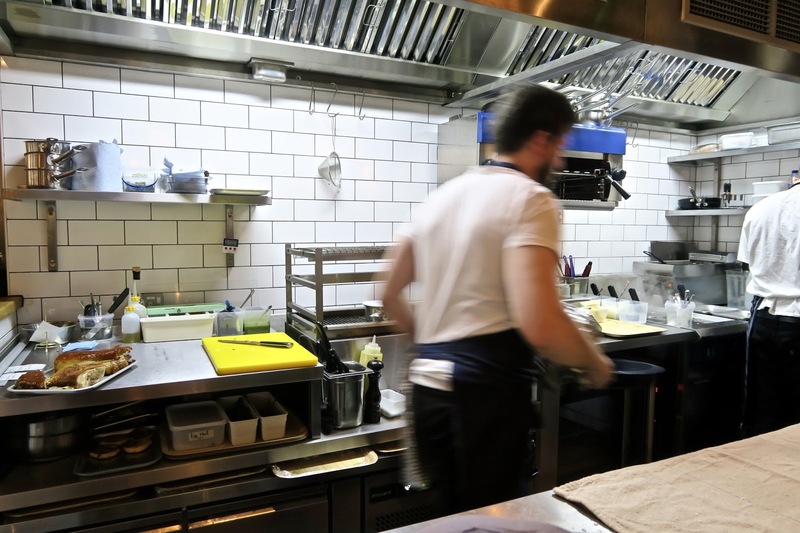 Another new addition to their Hove site, is the preparation kitchen based downstairs in the restaurant, giving Head Chef Jamie Halsall and his team the chance to create more dishes and prepare things that can take a lot of time and space for both the Brighton and Hove sites. Perfect for lunch or diner (or both!) you'll be welcomed by David and his team and sat overlooking the kitchen area and bar. 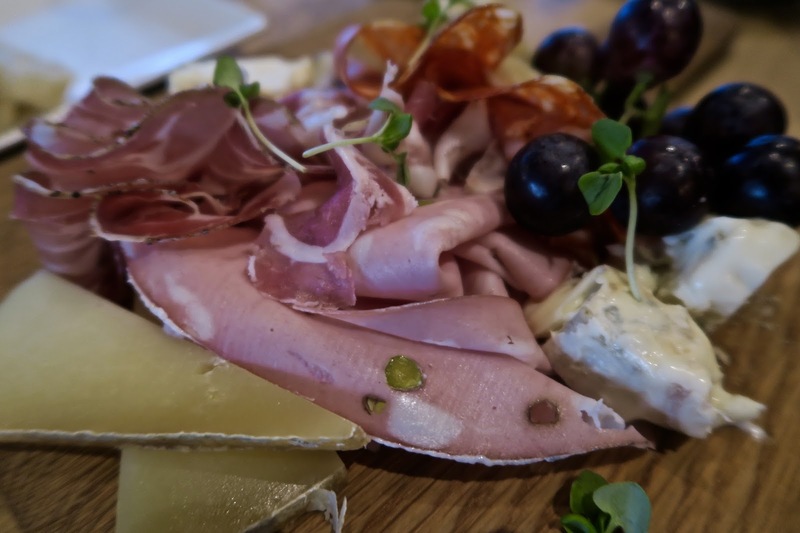 Kick things off with a board of antipasti, featuring a selection of Italian salumi and cheeses - the perfect snack whilst you make the all important decisions on what to order next. 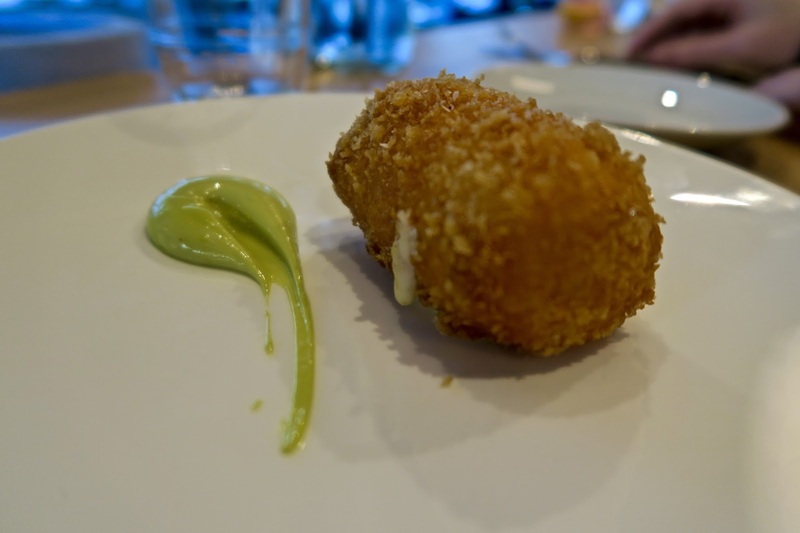 Nduja & polenta crochette, parsley mayonnaise - light and fluffy with a little kick. 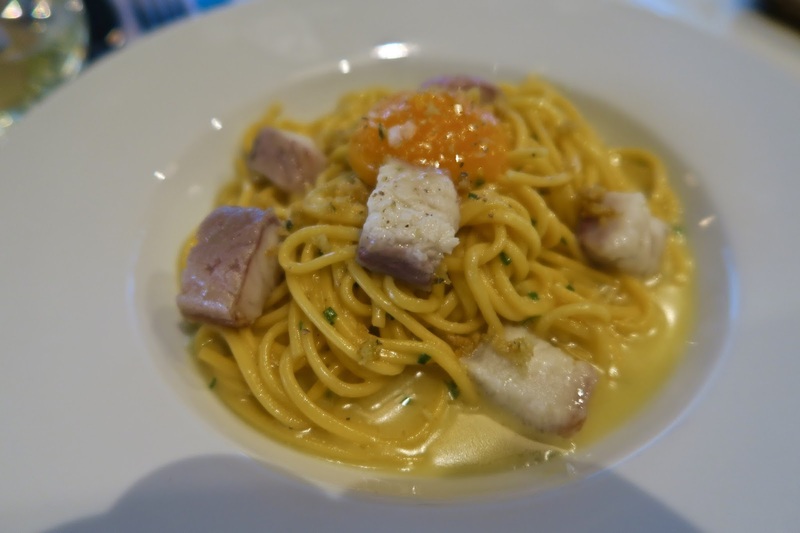 Eating our way through the menu, we couldn't forget to have one of their home-made pasta dishes - Cin Cin's take on Spaghetti carbonara, with smoked eel and confit egg yolk. 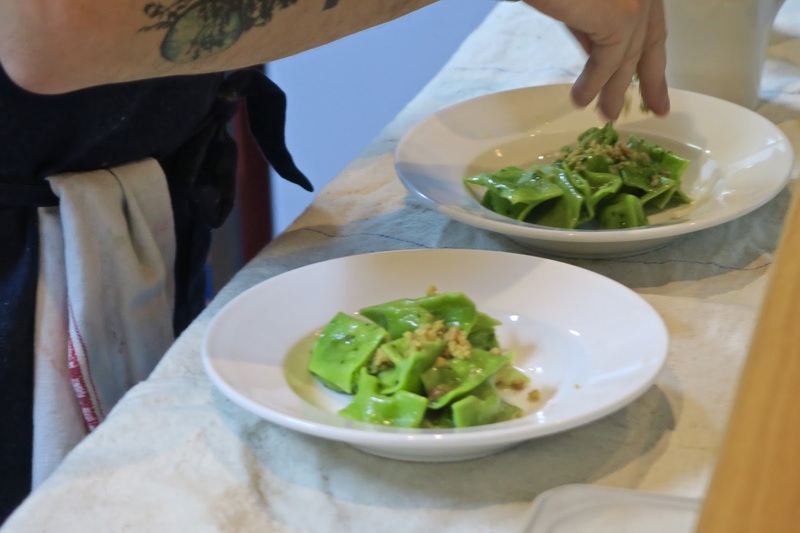 Aside from the laid-back atmosphere and wonderful staff, being able to sit back and watch the chefs cook up dish after dish of delicious Italian food is one of my favourite things to do. 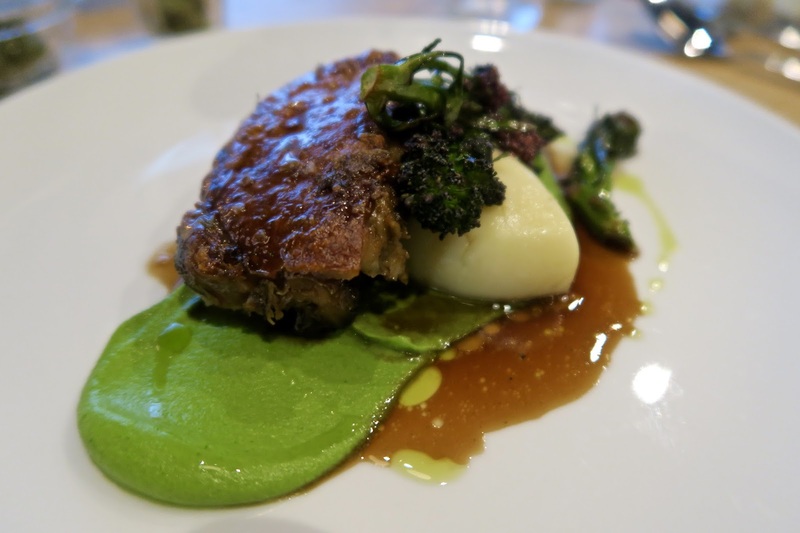 Gorgeous flavours, with crackling that had us fighting over it. A modern, softer take on an Italian classic, substituting marsala with coffee-flavoured stout and salted caramel. See you at the pass! 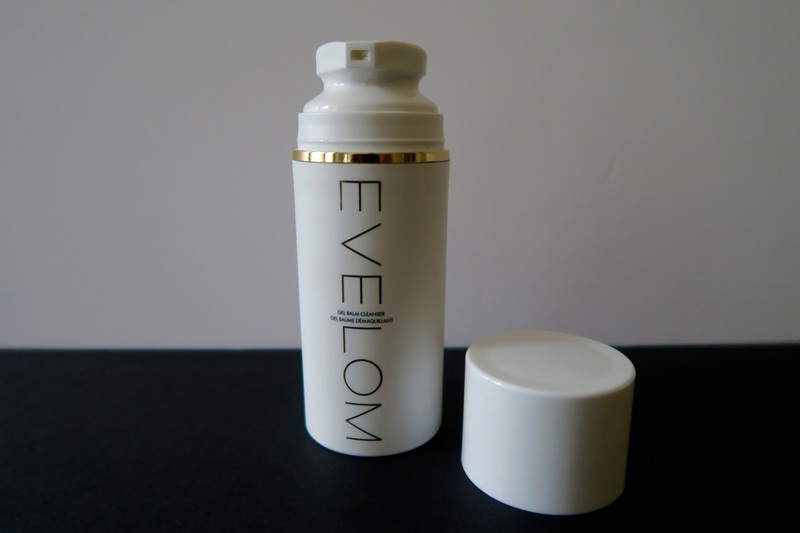 The Eve Lom Cleanser has been a favorite of mine for a couple of years now, and definitely kicked off my skincare obsession. I’ve gone through a fair few skincare products and still love trying new ones out, but my skin is super sensitive at times and this cleanser just works for me, and has become a part of my daily skincare routine. One of the things I love about the product, is the ritualistic way it’s meant to be used - massaging onto dry skin, letting it sit on the face for a bit and then take off with a hot, damp muslin cloth. It leaves your skin so soft, and if your skin is anything like mine (as dry as the Sahara desert) then it will make your face feel soooo good and pampered. But, let’s get a little real though - everyday can’t be a spa day at home. I have a pretty busy life, and sometimes it can feel like a real task to even take my makeup off at the end of the day (that’s even if I bother to wear any), or getting out of bed 10 minutes earlier before work to go through the cleansing process can be a painful decision to make. 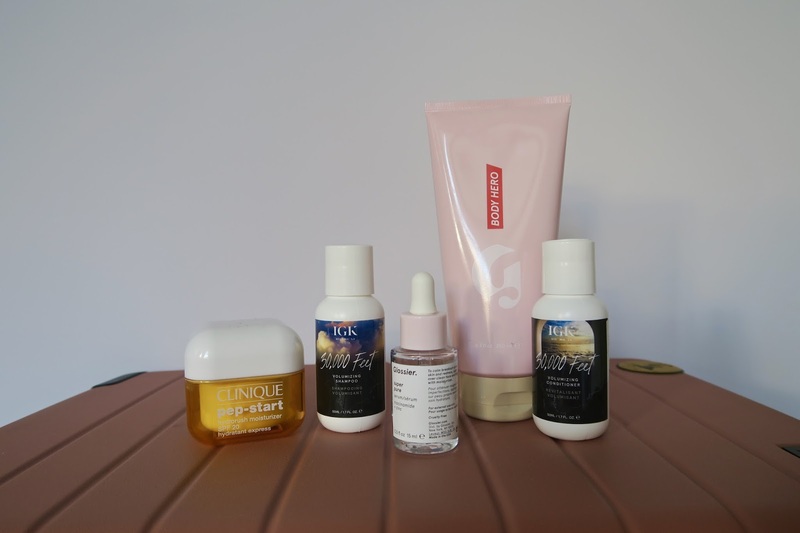 Eve Lom took that feedback from their customers and launched their new Eve Lom Gel Balm Cleanser, which I picked up at the end of last year, and I have been trying out for the last couple of months. The Eve Lom gel Balm Cleanser has been clinically proven to moisturise skin for up to 12 hours after use. When applied, it works in two stages. One: Melting away makeup and impurities, Two: cleanses to enhance skin with intensely moisturising and hydrating active ingredients. 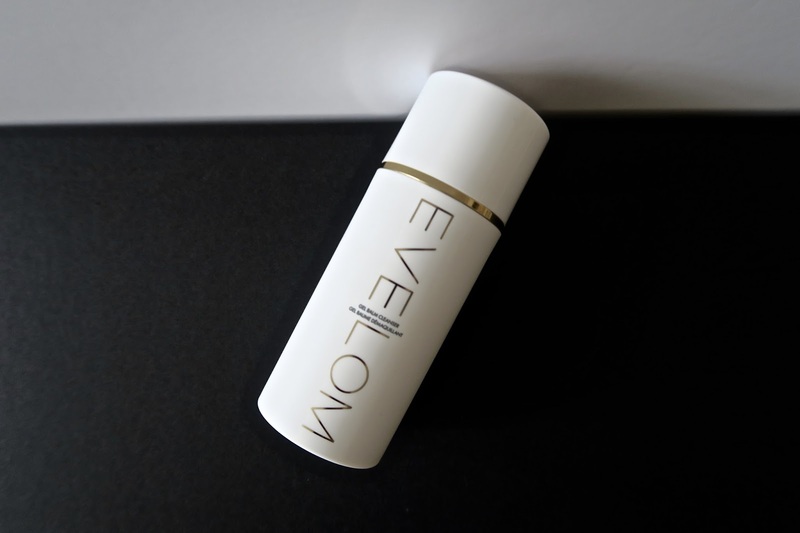 The Eve Lom Gel Balm Cleanser has all the best things about the original cleansing balm, but comes in a pump action tube (instead of the pot) dispensing a lightweight gel balm to gently cleanse and hydrate the skin. It’s a lot more convenient for those who are always on the go.